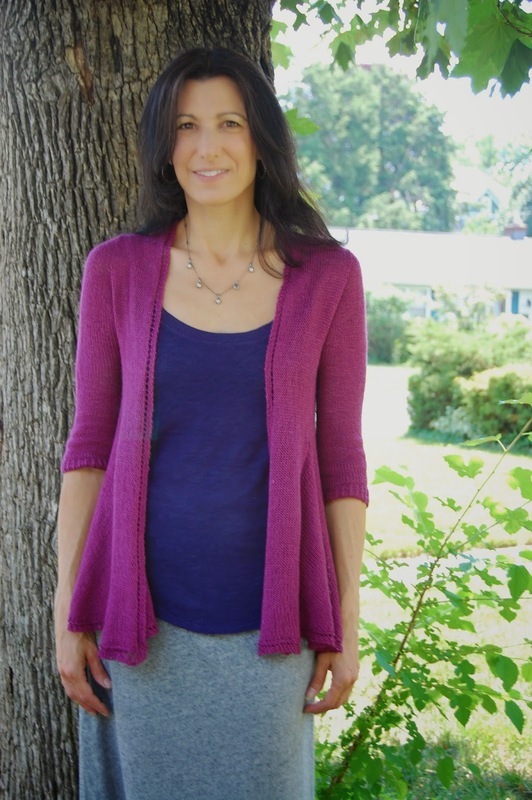 You can find Mary on Ravelry here and her patterns are here too. I find inspiration in a variety of places: Sometimes in nature or a place, sometimes simply out of a desire to add a particular garment to my wardrobe. 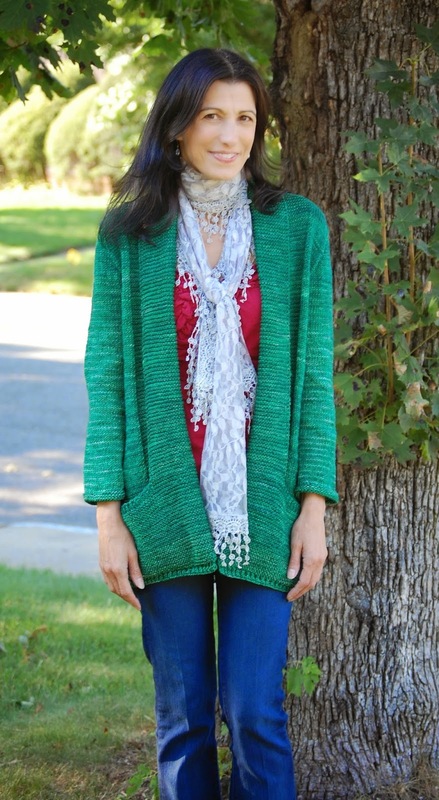 For years, I envied how knitters wore their beautiful lace shawls. I love knitting shawls but somehow find myself "shawl challenged". When I try to wrap them over my shoulders, they just never sit quite right on me, lol. So, I did a series of designs (Elphaba, Daydream Believer, Iolanthe, and Sleepy Jean) that incorporate various elements of shawl design...and I get to wear a shawl as part of a sweater. Another set of designs (my Quabbin Series) was inspired by four central Massachusetts towns that were flooded back in the 1930s to make way for a reservoir that serves the Boston area. These designs were inspired by the sense of place and history of each of these former towns. The Quabbin Series includes: Prescott Cardigan, Prescott DK Cardigan, Steel Rail, A Hat for Dana, and Swift River Cardigan. I'm crazy about top-down construction! My latest favorite is Barbara Walker's method of working a sweater from the top-down with a simultaneous set-in sleeve. It requires picking up just a handful of stitches for the top of the sleeve cap, and then working increases to give a really beautiful set-in sleeve. I began following an industry standard that was recommended by Interweave when I published a design with them a few years ago. I begin with a 29" bust and work up sizes in 3" increments through a 50" bust. I occasionally get nervous that I'll publish something that someone else has already done, so I check as best I can. I don't mind re-interpreting the wheel, but I'd rather not publish a re-invention of it. Otherwise, I spend enough time chatting with knitters on Ravelry that it would be tough for me to not see what else is out there. Plus, I enjoy watching trends to see what folks like to wear and enjoy knitting--it's fun to put my own spin on trend and see what I can come up with. I'm not sure that patterns are being particularly dumbed-down, per se. I think it's more that the digital format has allowed designers and writers to include all the details they want without the constraint of having to keep a pattern to a certain number of pages and font size. Photo tutorials, suggestions for how to choose a size, explanations for an unusual increase or cable...they all take up a lot of space. 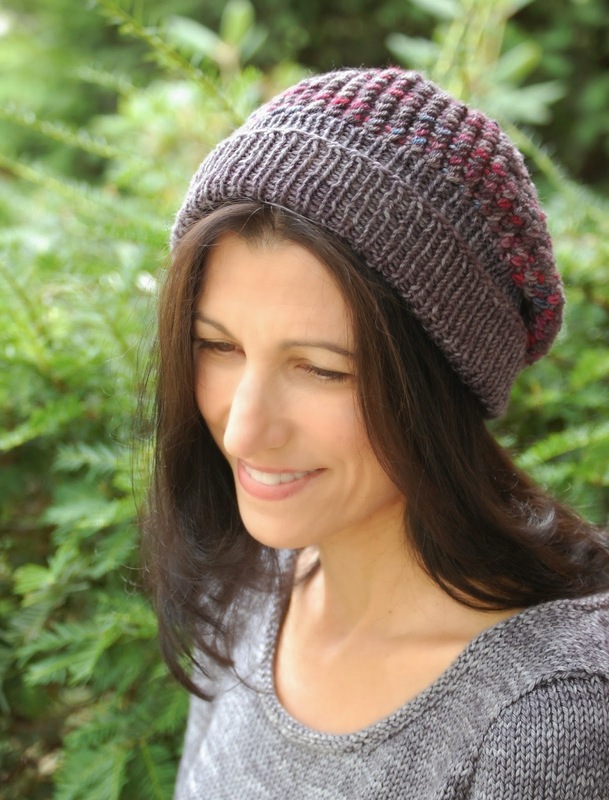 With a digital format, I can take up the space needed to try to anticipate knitters' questions and needs as they work through one of my patterns. The more clear a pattern is, the more likely that, say, a new knitter will stick with it and create a garment that they are happy with and enjoyed knitting. I knit nearly all of my own designs and samples, but I've run several test knits that have been enjoyable and fun. Test knits have taught me a lot about what works well for many knitters as they follow a pattern. I've been mostly making this up as I go, and my plan is generally: Get inspired, write, knit, photograph, edit, publish. Rinse and repeat. I try to work in a few trunk shows, and have plans for selling on my own site (once I set one up) in addition to Ravelry. Not formally, but I do have a few friends that I can bounce ideas off of. Absolutely yes! It's tough to edit one's own writing, so I find working with a tech editor essential to my process. I've worked with the same TE for a few years, and I trust her wholeheartedly. Not terribly well at times! I'm a bit of a work-a-holic when it comes to knitting and designing, and since I also teach at a college part time, there's always something to do--if it's not pattern grading, it's exam and quiz grading! I absolutely love designing, knitting, and writing patterns, so it's easier to have plenty of energy for it. Like a lot of knitters, I bring a project bag and wip with me most places I go (you never know--what if I had a flat tire, and had to wait for AAA without my knitting?? ), but I do try to put things away for an hour or so each day for some down time. Otherwise, I exercise and sing daily--both are like meditation for me, and make me feel happy. Always good for life balance! I'm also at a point in my life where my kids are older (both in college!) and working in this way is easier for me to do than when they were little. I want my patterns to be as clear as possible, so I think it's important to listen to constructive criticism, especially if a handful of knitters all have the same suggestion. Thankfully, I've never really felt criticized, only supported. I'm getting there, and things have really been taking off lately! Go for it! Design what you love, do excellent work, and put it where people can see it.